The Ford Ranger Raptor won’t be arriving in the United States, that much we already know. But a new report from Road & Track indicates the Ranger Raptor story may not be over in North America just yet. Ford is allegedly working on a Raptor variant for the next-generation Ranger that could one day arrive in North America. Road & Track dug up some employee profiles on a certain professional social media network for employees working at Canadian technical firm Modatek. The profiles mention a Ranger Raptor with an internal project code of P703, the same project code applied to the 2020 Ford Bronco, and say this product will arrive in the United States. The same Modatek engineer that was working on the P703 project has also worked on the current Ford Ranger for North America and the current global-spec Rager Raptor. Road & Track asked Ford to comment on the matter, but the automaker says it does not comment on speculation about future products. Ford decided against bringing the Ranger Raptor to North America as the automaker believed it would be too close in price to the F-150 Raptor. 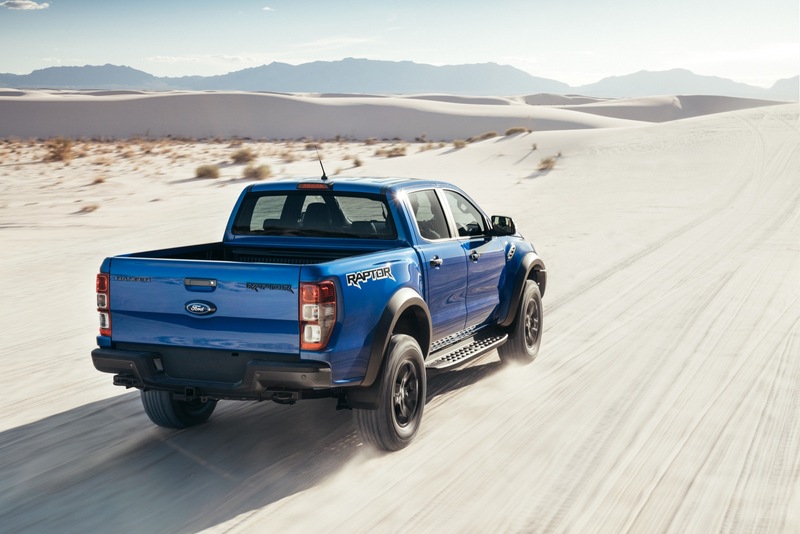 Additionally, the Ranger Raptor features a twin-turbo diesel engine that isn’t certified for the US and wouldn’t be suited to North American needs. For these reasons, we imagine this rumored next-gen Raptor will be a bit more cost effective than the current model and will also feature a gas engine. The next-generation Ford Ranger could debut by as early as 2022, Road & Track indicates, with the Ranger Raptor arriving shortly after. It will be at least five years or so until we see a Ranger Raptor in North America, then, so we wouldn’t be holding our breath for the truck. That’s probably enough time for you to save up the extra funds needed to buy an F-150 Raptor. Previous story 2020 Ford Explorer: Hot or Not? You guys do a lot of speculating and lead us down the preverbal trail to no where. It would be better if you said nothing at all. How about letting Ford generate the news, it’s their story anyway.